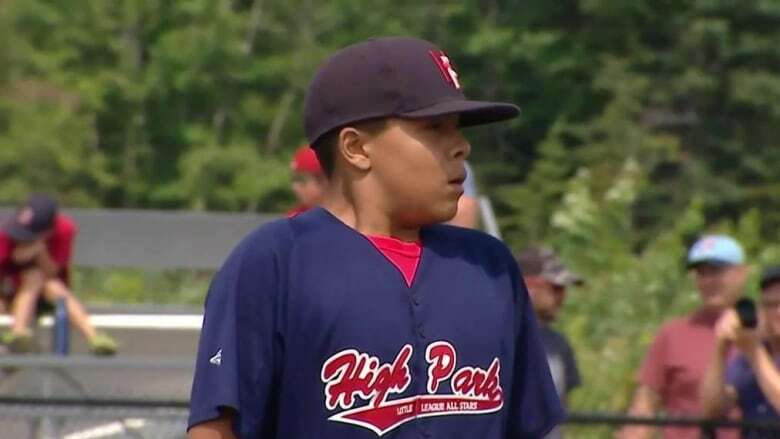 Team Ontario's Roman Figueroa made a memory of a lifetime on Tuesday, throwing a no-hitter at the Little League Baseball Canadian Championship from Mirabel, Quebec. The Little League Baseball Canadian Championship is a place where kids can make memories for a lifetime, all while chasing a title. On Tuesday, team Ontario's Roman Figueroa did just that. Pitching against the Prairies, Figueroa spun a gem, throwing the first no-hitter of his young baseball career en route to a 2-0 victory. "It's just a rush of all feelings," said Figueroa after the game, beaming with excitement. "I pitched really well, I was just excited to pitch." He threw six no-hit innings along with four strikeouts and while being interviewed after the game, his teammates showered him with water bottles. Ontario, represented by Toronto High Park Little League, moved to 2-3 at the tournament. You can catch the entire tournament live on CBCSports.ca through Aug. 11 from Mirabel, Que.